We are renowned as one of the eminent Chain Pulley Blocks (RS Series) Suppliers, based in India. 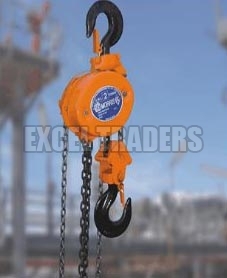 The Chain Pulley Blocks (RS Series) are offered by us in a wide range of specifications. The Chain Pulley Blocks (RS Series) can be availed from us in bulk quantities at the most competitive prices.